Can we just take a minute to appreciate how Instagrammable this Ultrasonic Facial Bar is? White, with rose gold detailing, it's every blogger's dream. And it looks so good sitting out on a dressing table, or chest of drawers. It's a product you'll want to show off! 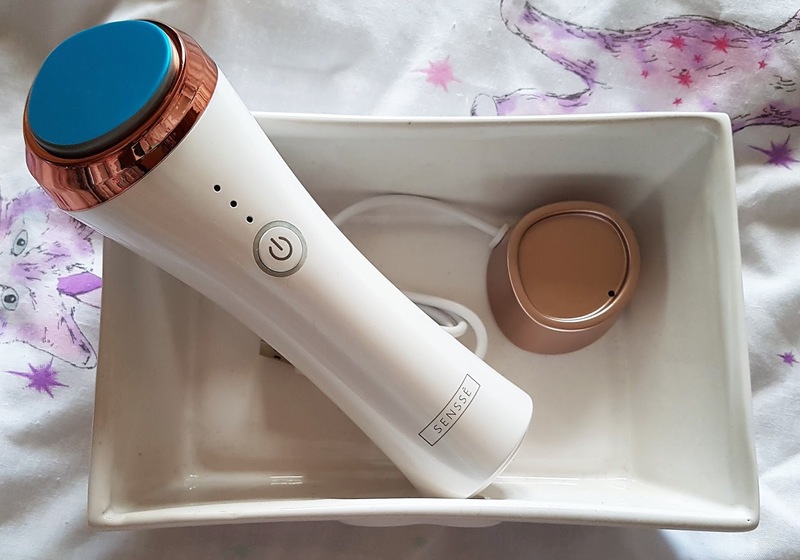 But, if you're anything like me, you might be wondering what on earth the SENSSE Hot and Cool Ultrasonic Facial Bar actually is? Besides gorgeous, of course. Well, let me tell you! The SENSSE Hot and Cool Ultrasonic Facial Bar is designed to reduce eye bags, redness and wrinkles with a gentle face toning massage. But how? In hot mode, the 42C temperature increases blood circulation, relaxes your facial muscles, smooths wrinkles, and activates cell regrowth. In cool mode, the 6C temperature soothes sore facial muscles, relieves skin fatigue, and reduces redness and puffiness to make your skin look bright and beautiful. You can use the Ultrasonic Facial Bar with your favourite moisturiser; I use Imperiaus, from Lush! The ultrasonic vibrations increase absorption of your moisturiser, while cool mode closes pores; locking in your skin care product and preventing dirt and grime buildup! The Ultrasonic Facial Bar is also perfect for giving your skin an instant refresh in either hot or cool mode! But does it really work? I was sceptical, especially when I saw the price of the product! I wasn't sure it could live up to all of the promises it made. But it did! 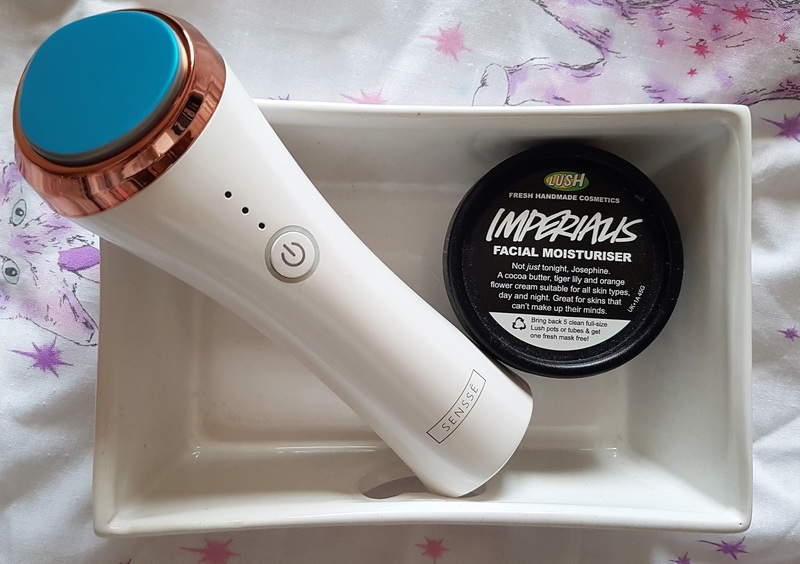 I've been using the Ultrasonic Facial Bar for nearly a month now, and I've definitely noticed a difference when it comes to my skin. My whole face feels more relaxed, more youthful. I can't speak to how effectively it works on wrinkles as I'm only twenty-six, so I don't have many wrinkles...yet! But it definitely delivers on its promises; and I think it could be a very effective tool for anti-ageing purposes! The Ultrasonic Facial Bar comes beautifully packaged; although I was a little disappointed to see that my beautiful, white box was covered in black marks! Hopefully they aren't all the same, though. Included is a USB charger; which works like any wireless charger. Just place the Facial Bar onto the charger, plug the USB into your computer, and leave it to charge. My only complaint is that the charger wasn't very snug; and a slight nudge is enough to knock the Facial Bar off! But that's hardly a big deal. I think the price is a little steep; especially as the components seem a little cheap; in appearance and feel. This certainly doesn't feel like a £100 product, if I'm being brutally honest. But, having just looked up the RRP, I've found out that the price of this Ultrasonic Facial Bar has been slashed! You can now grab this product for £59.99 on Amazon, with next day delivery if you're a Prime member. I'd highly recommend picking up this product at that price; it's a steal! To sum up; fantastic product, a bit on the expensive side, but a steal at its current price on Amazon. 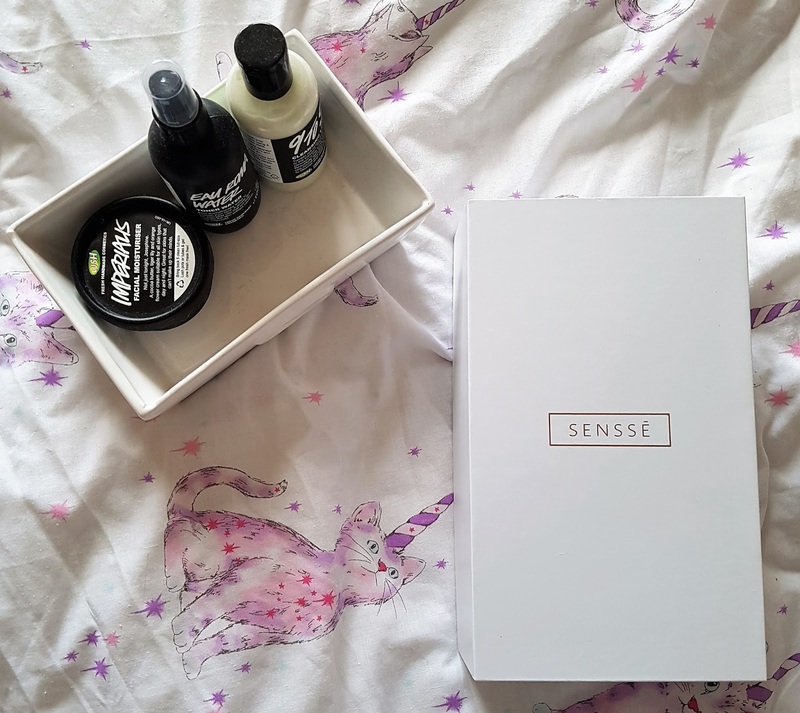 A great addition to your daily skincare routine! *This product was sent to me in exchange for a review. All opinions and views are my own. Haha! I can see why actually..
Oooh its good that theres an offer on to taker advantage! Id be really interested in this!